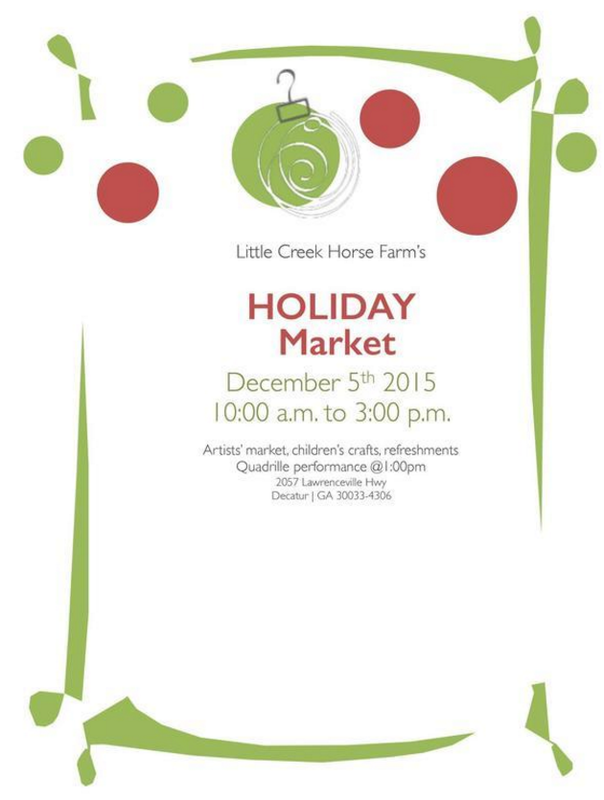 After you hit the alternative gift market at North Decatur Presbyterian Church, roll down the road and support Little Creek Horse Farm. See below for information on Little Creek's potluck on Dec 12. This is a Public Event, Everyone Welcome!